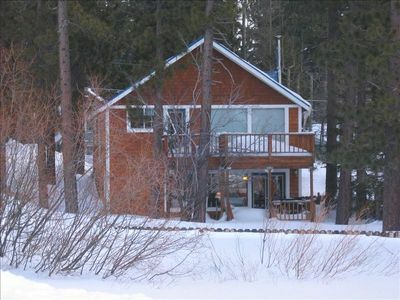 Renovated dog-friendly cabin w/ access to a Tahoe beach, a shared pool & tennis! 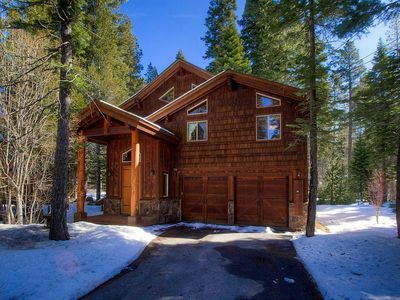 Lake Tahoe is mere minutes away from this dog-friendly Homewood vacation rental. 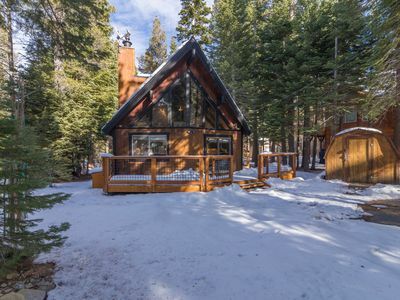 Thoughtful touches, like a newly added master suite, make this the perfect choice for your summer or winter vacation! Ten guests sleep comfortably in this unique five-bedroom home! 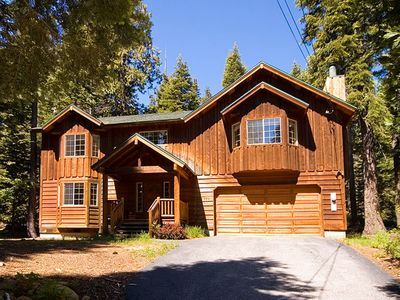 Less than 10 miles from Tahoe City, this secluded two-story home offers natural splendor. 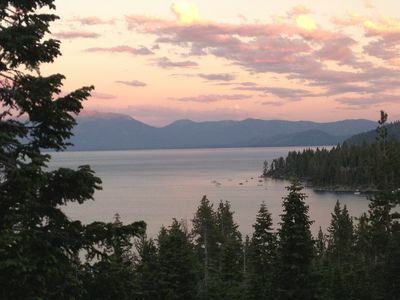 Walk to Lake Tahoe and admire the scenery as you make the half-mile trek. 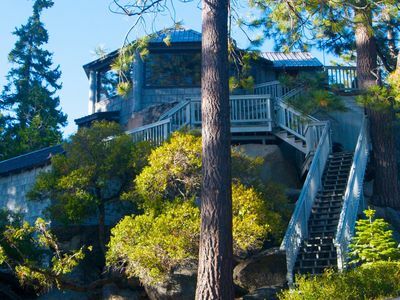 If you're ever tired of the mountain air or the quiet solitude, you can head to nearby Tahoe City for dinner and dancing. The neutral decor of this abode emits a soothing ambiance. 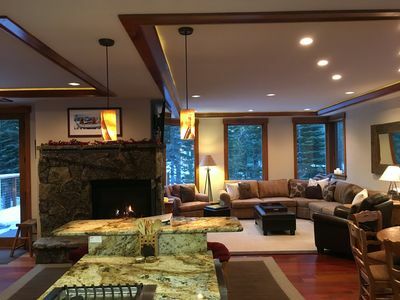 The living room boasts wooden walls, carpeted floors, a large sectional sofa and a wonderful wood-burning fireplace. The dining table seats six with views of the outdoors and the breakfast bar offers more space to dine. 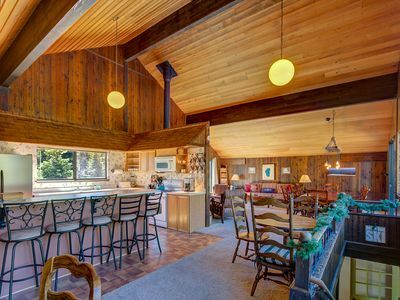 The kitchen is extensive with an electric range and dishwasher, making crafting dinner and cleaning up after a breeze. The master suite is a new addition on the upper level. Wood floors, a king bed, a small sectional sofa, and a colorful en suite bath complete the space. 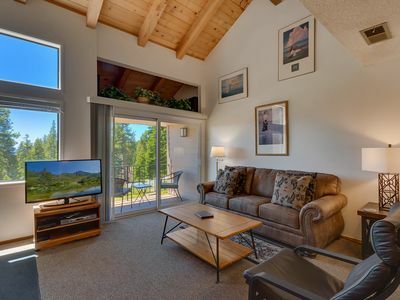 Four additional bedrooms can be found on the lower level, two of which feature queen beds and wood paneled walls. 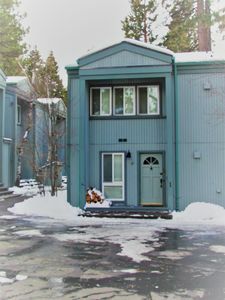 Two additional bedrooms boast two twin beds apiece. 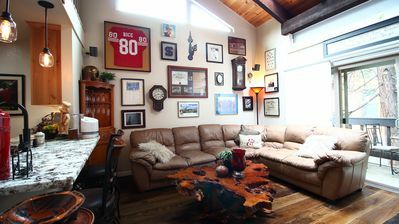 A large den features a full bed, TV, and Playstation. Two full baths and a half bath round out the sleeping quarters. WiFi is free and a washer and dryer are available. 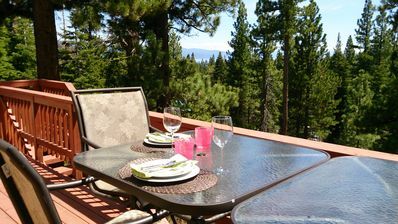 Guests can dine al fresco on the gorgeous wooden deck with gas grill. A Chambers Landing guest pass allows access to the beach, private pool, and tennis courts. Fido is also welcome with a fee. 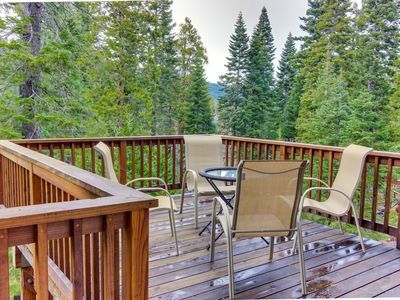 Tahoe City is less than 10 miles away and offers a wealth of activities for the whole family. Enjoy water sports, movies on the beach or outdoor concerts during lazy summer days. Check out the myriad coffee shops and restaurants in town. 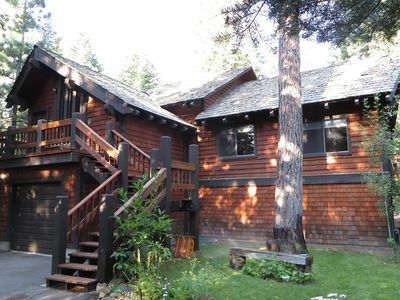 Take in the haunted museums or even the historic Lake Tahoe Dam. 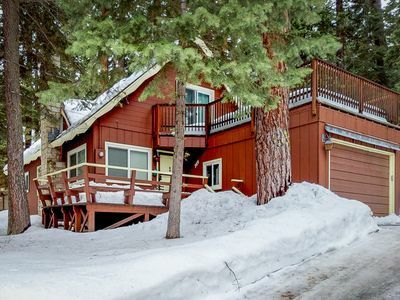 Whether it's a ski vacation or one of rest and relaxation, this gorgeous five-bedroom South Lake Tahoe rental is the perfect getaway for any large party! Ski Shuttle Details: The shuttle bus arrives every 30 minutes. 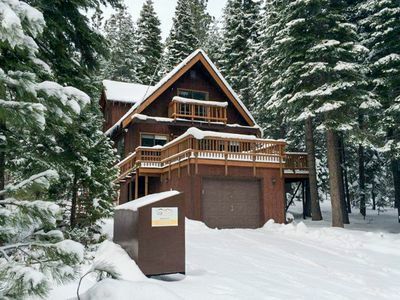 You can call Homewood for ski shuttle pick up. 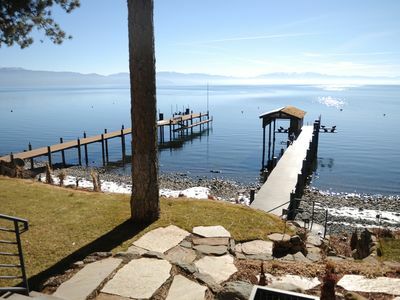 STUNNING lake view, beautiful white sand beach, SUMMER ALMOST FULL! 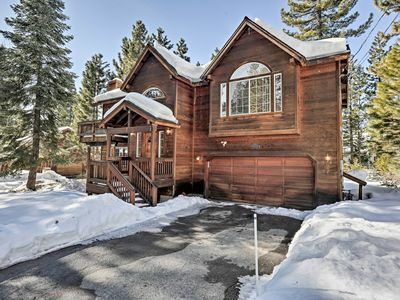 Beautiful Remodeled Robert's Tahoe Retreat w/ Hot Tub & Views! 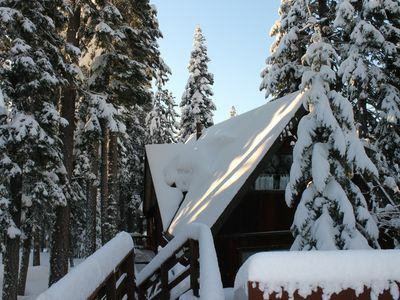 1st Class Cabin~In Town ~Walk Everywhere ~All Star Reviews!! Gorgeous condo at The Villas - HOA pool, sauna, tennis courts. 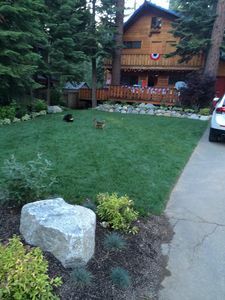 Near Tahoe City, walk to beaches.